This weekend is the Great Northern Stage Race in Whitefish. Promoter Rob Hagler has really gone out on a limb to make this event a special weekend. The race has added two stages that are both within close proximity to Whitefish. The race is a true community event. Flathead Russ has put his muscle into this event as has Craig from GNC and the rest of the gang. Come out and support their efforts. There's been several rumors about teams and racers showing up. I can't confirm or deny any rumors (the only registered 1,2,3's are me, David Holden, Flathead Russ, Weston and BrianW). However, if riders from Lenovo and/or Exergy show up it's for sure going to be a can't miss event. It's fun for Montana racers to have top regional riders come to our territory. I'm also excited to see the Flathead contingent road racing. Bandito, Pipo, MattyB, Greenburg, Parsons, Muhly, Gaertner, Noonan, and Chance were all missed at Cow Country. It will be exciting to have these guys racing in their home area. Remember you save money by registering early. Kent Brothers Facebook Page. If your a cyclist you should click to "like" them on Facebook. K Bros is stepping up big time to support local mountain bike racers. After Dougie's Cream Puff performance how could we leave him off the team. 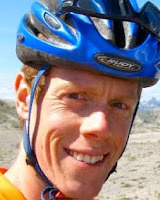 While Wild Rockies is running full steam this summer we're hoping Doug will squeeze in 2 rides between now and Moab. 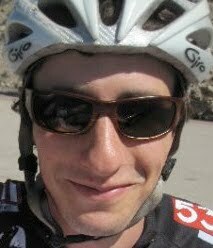 In all seriousness Doug is a great mountain bike rider and can stay up really late. Toby has been riding with the fire this spring. He's currently in Greenland studying glaciers, but his whole racing calendar is focused around Moab. Last year's 9th place in the Cream Puff solidified his spot on the roster. I don't want to hear it about having a triathlete on the team. Adam can ride for a million hours straight at a million watts. If you don't believe me then believe his results. In his first attempt at a 100 mile mtb race he finished 2nd in the Cream Puff. Owen is an incredible descender and athlete. The Butte Psyclocross last year sealed the deal for his roster spot. He has no fear and also is good at staying up late at night. Lindsy Campbell is the racers racer. If there is any question about her dirt ability, just look at last year's 2nd place collegiate cross result. She's got the determination and the fire to provide the consistent laps this team needs. Heidi Gaskill is the captain of the team. Her endurance prowess is well known in the Missoula area. On any given day you could see Heidi 10 miles up the rat on a trail run or 30 miles back in pattee on a cross bike. She will be a huge asset to all the team regarding nutrition and training. 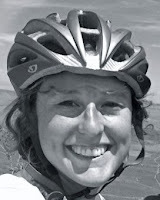 Anya Wechsler is a mangy endurance athlete. She's the only person I know of who can keep up with Gaskill on trail. Her Griz Tri and Wildflower performance were just the tip of the iceberg. She is capable of anything. In early March she came on a 140 mile road ride off the couch. Heidi Rentz has been living in Moab for the past 3 years. Her Missoula biking resume is long. 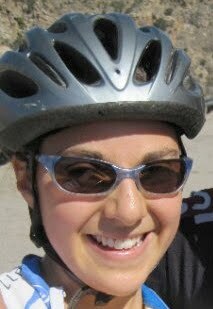 She had a solid stint on the UM Cycling team, including a trip to mountain bike nationals in 2005. She has been an mountain bike guide in Moab and knows the trails well. "As John Curry (GAS) relentlessly drove the break yesterday, I told him I hadn't recalled anyone soloing the last lap of Cow Country since Casper's Rick Sorenson did it back in 1998. Sure enough, John crushed it. Impressive ride. Great race." John Curry increased his win total this weekend. 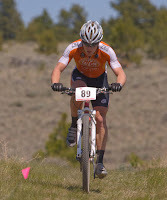 On Saturday John took the win at the Homestake XC over Frank and Vanderkitten. Less then 24 hours later John was in Wolf Creek to start the famous Cow Country Classic. The first 20 miles of racing was thick with attacks and attempted breaks. I remember at one point sitting on Frykman's wheel and thinking I wanted to kill myself. It was a hard pace to say the least. Eventually, a break stuck. It contained Mariano Besseti, Curry, and Geoff Proctor. The break drove on while Brendan Halpin towed the peleton. Halp probably pulled for 15 miles. Into the climb Matty Ice pulled hard and attacked the lower slopes. Most of the peleton responded. The breakaway however was still way up the road. Eventually, Curry dropped Besseti and soloed for the win. Some reports at the line said "20 minutes." I don't know about that, but I do know if you give Curry an inch he makes it a mile (Cow County last year, APC Classic Stage 2). Behind John was carnage. Frykman soloed for second making it a GAS 1-2. Herzig out-sprinted Matty Ice for 3rd. Look out for Matt's Blog post today. He rode very well. I don't have too much of a ladies report besides what LC told me in the car. Frykman was riding like a motor bike and soloed for the win. Jen L, Tam, Curry, and LC were all in the hunt till the end. Kellie continued her romp on the cat 4 field, by taking the win. Steve Z won the masters. Steve Z is fast. A couple comments from me on Steve Z. Everyone in Missoula knows that Steve is fast. In fact we've known for 3 years now that Steve is a beast. I'm so happy for him this season. He is racing to his potential and looking great! The 4/5 race was highlighted by Vanderkitten (who placed third the day before at the mtb race). He drove a group of 3, before dropping them on the last climb. Great rides by JVernon who had the best facial hair of the day and Joshua Phillips. Both these guys stayed with Karl for a long time. 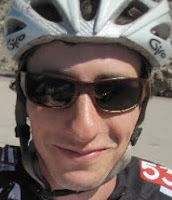 Check out Ryan's blog for a good race report.